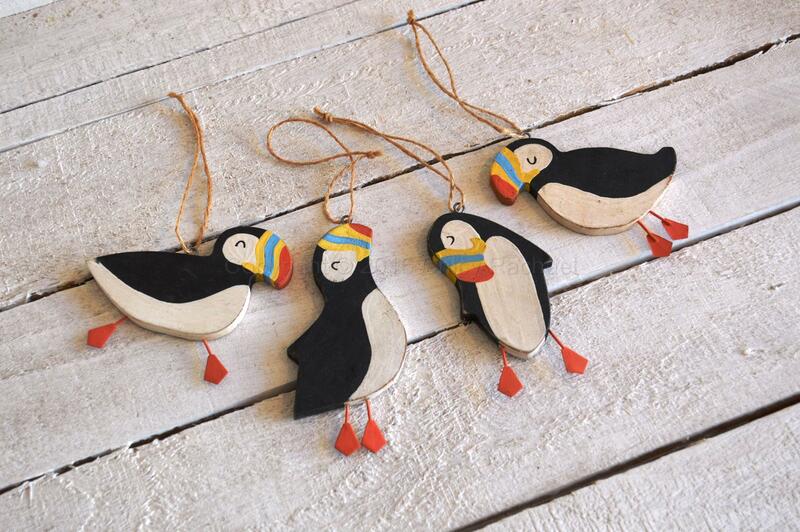 This is a lovely set of four painted hanging puffin decorations, each one is in a different position. 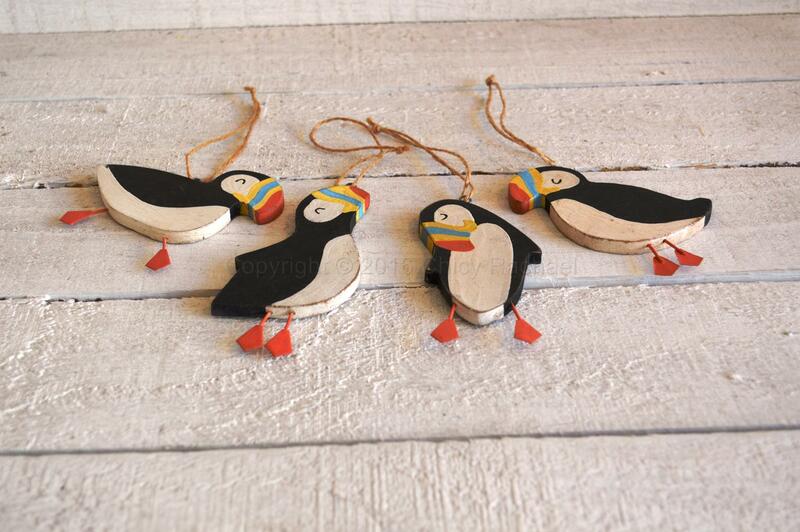 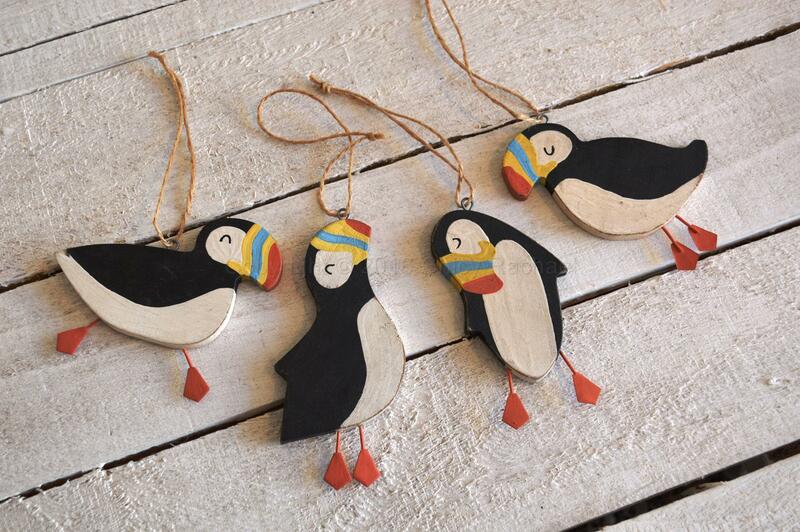 These puffins are made from wood with little metal orange feet and a jute cord for hanging. 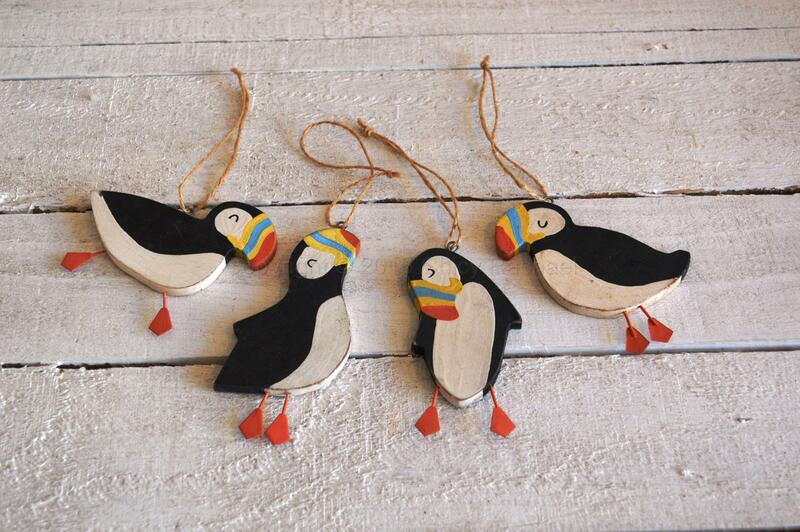 These hanging decorations would look great hanging up in any room, or they could make a lovely tag for a present.